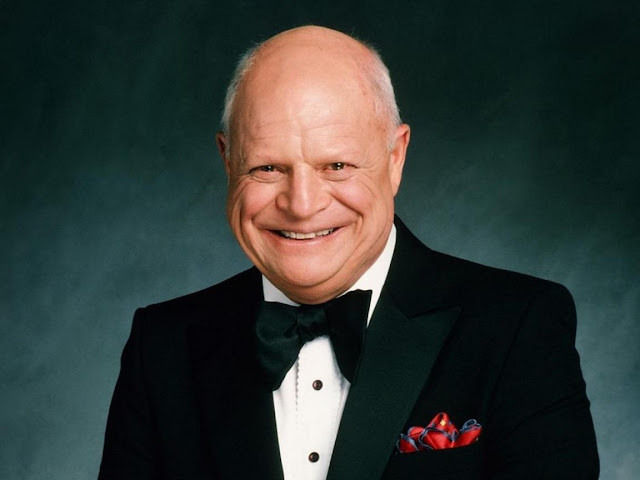 At the tender age of 89 and with over 55 years of show business experience under his belt, Don Rickles is still going strong. He tours the country on a regular basis zinging his audience, which is filled with what he affectionately terms "hockey pucks." And while it may not be surprising to everyone that Mr. Warmth still goes on the road with his comedy act, many might not expect that he is also active in a more high tech environment. Rickles has gone mobile with his Don Rickles Mr. Warmth App. In a recent exclusive interview The Merchant of Venom explained how the project came about. He said his manager Tony Oppedisano was approached by Barry Snyder from as asset management company called MediaMine. He recalled, "I knew nothing about amps, apps, tweeter… all that baloney, but [my wife] Barbara and those two guys said to me, 'You should do it. It'd be fun.' And it's turned out to be fun to do. And I was delighted." Rickles is also quick to point out that aside from the App he has his finger on the pulse of another social media outlet - Twitter. With 156,000 followers he professes, "I write my own Tweets. Everybody has somebody assigned to write their Tweets but I write all my own." The App is a very simple interface for both the iPhone and Android markets. Load it onto your phone, tap Rickles' head and let the quips roll. He zings everybody and everything he can think of. No ethnicity, religion, city or holiday is safe from the wrath of Rickles. Not even Don's own celebrity friends are off limits. He zings pals Bob Newhart, John Stamos and Bob Saget and other big names like Al Pacino, Donald Trump and Jimmy Kimmel. Rickles talked about how he chooses his victims, "If they're famous I pick on them. If I know them I pick on them. There's no definite person that I'm after. But most times it's a lot of people that I know personally and who've got a lot of fame and that I find interesting to zing about." But the comedian was also adamant about noting, "It's never mean spirited. It's never below the belt, that's for sure." And he noted this is why his comedy still has legs even in today's politically correct world. Rickles humor comes from the heart. He reflected, "To my knowledge, I was the first guy really to do what I do… It's not something you rehearse. In my belief it's in your personality. I've always had that attitude and so that became my performance." Fans who have seen his shows won't find that this is just recycled material. The comedian came up with these quips in the recording studio on the spot, the way he has performed his entire career. He professed, "I've never written anything down on paper, everything has just happened to me on stage to this very day. And so when I do these apps and tweets and stuff, it's just whatever comes to me and if I think it's funny I write it down." Download Don Rickles Mr. Warmth App for just $2.99 available for iPhones and Android devices on the official website.